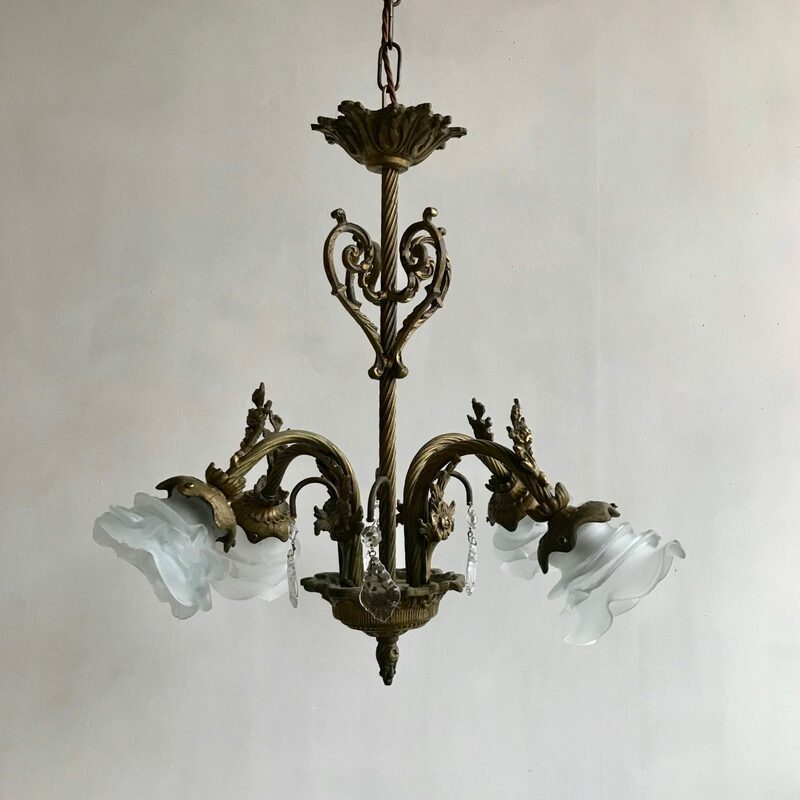 Decorative brass downlighter chandeliers with frosted floral shades. These chandeliers originate from early 20th century France. The brass work is decorative and ornate. It has been sympathetically restored to retain the beautiful patina that has developed over time naturally. The shades are antique and handmade so they vary slightly. The chandeliers come supplied with braided flex, chain and a ceiling rose. Each chandelier requires SBC lamps, these are not included.